Edel Assanti is pleased to present the debut London solo show for Canadian artist Babak Golkar. The exhibition will feature new works from Golkar's Return Project series, focusing on issues of and arising from ideas of labour. 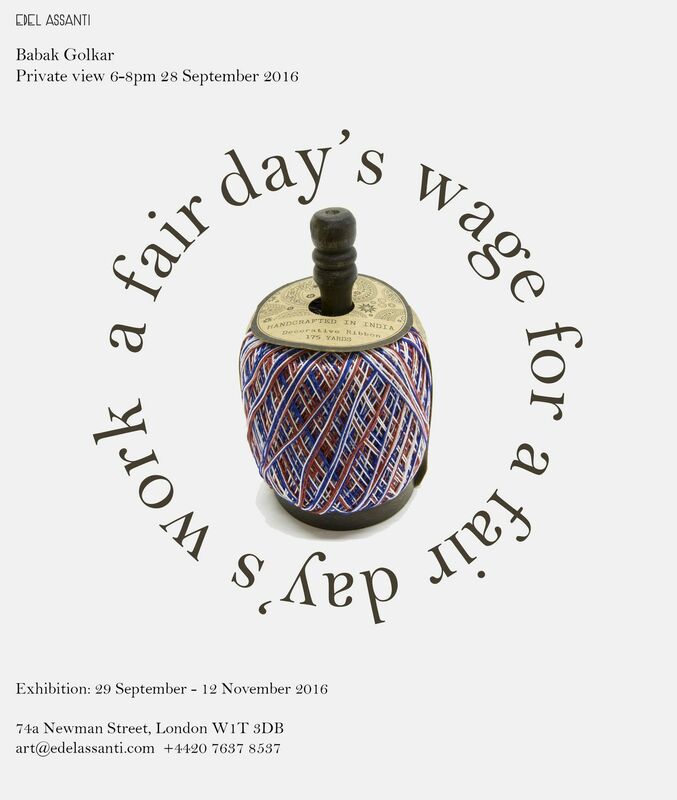 Edel Assanti presents A fair day’s wage for a fair day’s work, Babak Golkar’s debut London solo exhibition.